Casa sull’Albero, an exclusive house which allows its guests to live a special experience in touch with nature, has just been opened in the ancient village of Malgrate, near Lecco. Casa sull’Albero, a member of Design Hotels, is composed of two attractive and modern villas with 12 rooms, gym, swimming pool, library and meeting area. 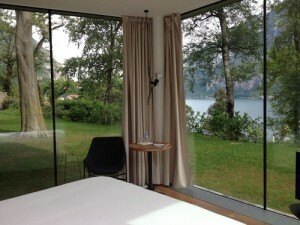 Each room has an incredible panoramic view on the lake or on the garden with secular trees. 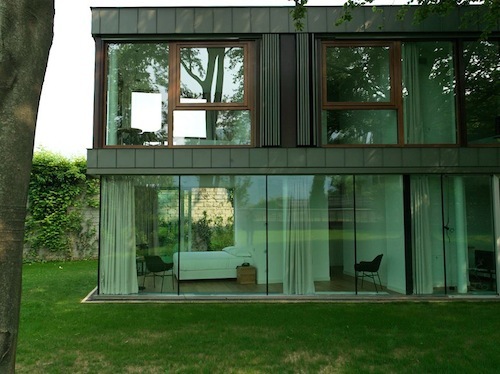 Casa sull’Albero is fully designed: it is a unique architectural project, done by the architect Giorgio Melesi, perfectly integrated into the surrounding landscape with rooms furnished following the Italian design. Design is also in the initiatives, which take place in Casa sull’Albero, such as painting and sculpture exhibitions. Privacy, elegance, details attention and eco sustainability are the key values of the house philosophy which allow guests to feel an unique and unforgettable experience. Casa Sull’Albero, in fact, is different from any other usual hotel or b&b: each room offers the highest level of quality and comfort, without showing off luxury and strictness. The result is a a dwelling, where our guests can be at ease and move as if they were at home. The perfect relationship between freedom and privacy gives Casa sull’Albero an international and elegant appeal, but at the same time the taste of Italian hospitality. Strong example of this relationship is the presence of a butler, always available at any time and of an “honesty kitchen” , a space opened to our guests 24 hours on 24, 7 days out of 7, with a careful selection of wine, beer, soft drink, mineral water, juice, yoghurt, fresh fruit, together with the pleasure of feeling at home, free and without any restriction. All products in the honesty kitchen come from farms near Casa sull’Albero. The twelve rooms have a fabulous view on the Como Lake and on the wonderful landscape thanks to the windows, which create an evocative atmosphere of natural light. The rooms are located in an amazing garden with centenary trees. The results is the feeling to be on a real house tree and so that nature is brought into the room. The use of natural material, such as local wood and local stone, give a warming, sensual and unique sensation. The furniture is completely custom-made by skilled artisans using woods taken from huts in Valtellina and Valsassina. 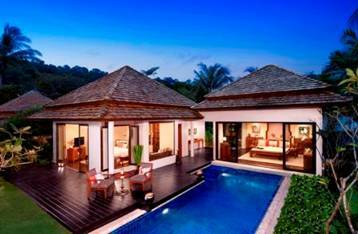 Moreover, the two villas are built with the most innovative energy saving techniques (solar, photovoltaic, etc. ..) and with the latest equipment of heating and cooling. Thanks to its flexibility, Casa sull’Albero is the perfect place for tourism or relax holidays, business stays or special occasion such as the first wedding night. Casa sull’Albero is cosy and charming, but also easy to reach, since it is just 30 minutes drive or 40 minutes by train from Milan, 45 minutes from Linate airport and 1 hour from Malpensa and Orio al Serio airport.